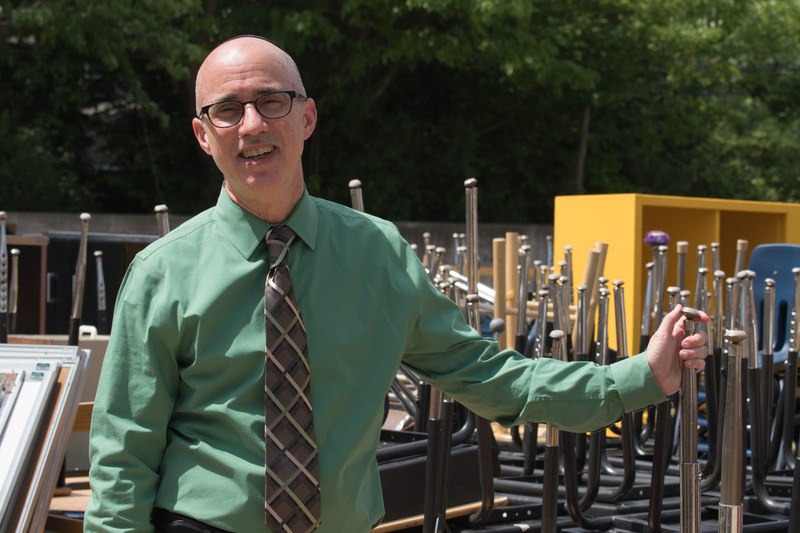 Thanks to the newest phase of renovation at Hillel Day School, Yeshivat Darchei Torah in Southfield, and Detroit Community Schools, a charter school on Detroit’s West Side, have both received donations of classroom furniture. 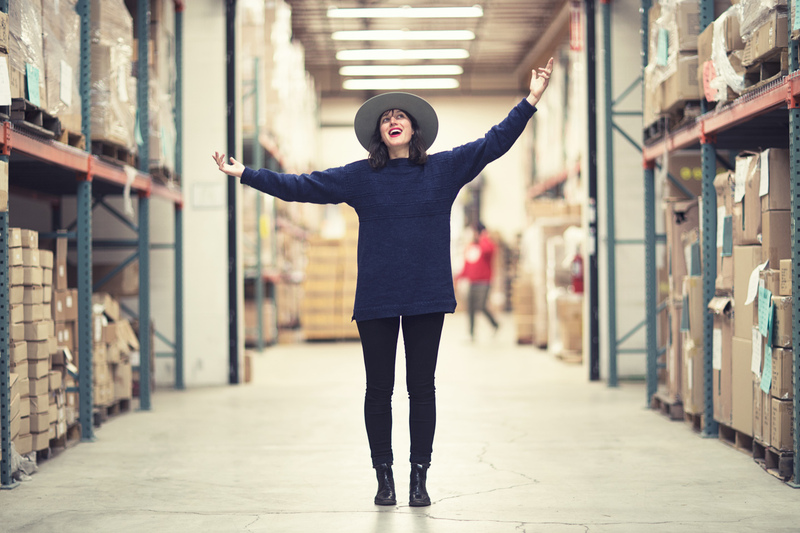 Too numerous to inventory, Hillel’s surplus of school items, pulled out of the classrooms under reconstruction, included 220 student desks and chairs, 10 teacher desks, dozens of bookcases and shelves, “tons” of cubbies, lockers, white boards and books no longer in use, all in good condition. 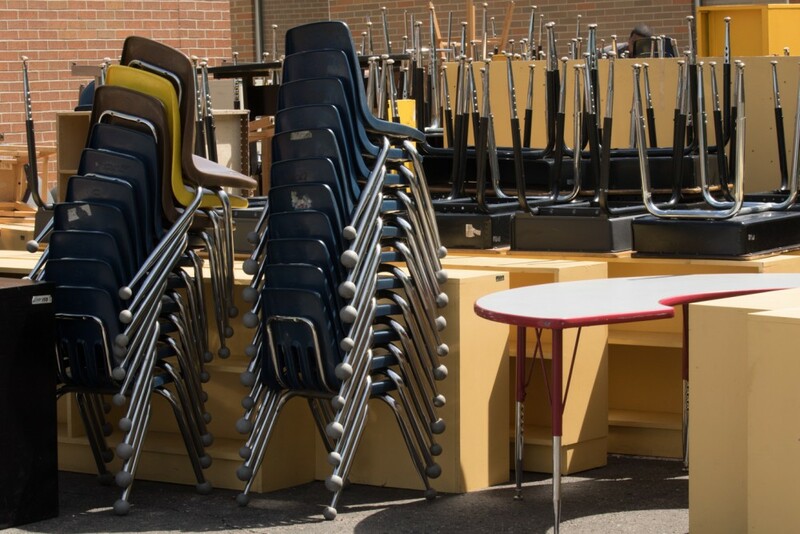 On May 31, Hillel rolled out student desks and chairs by the score and classroom furniture too numerous to inventory — all to be donated in a split between Yeshivat Darchei Torah and Detroit Community Schools. Hillel’s renovation is slated for completion by the start of the school year in September. Funded through transformative gifts of the William and Audrey Farber Family and the William Davidson Foundation, the plan calls for new construction of both wings of the K-2 and 3-6 classrooms, which will now be conceived as flexible “learning communities.” These spaces will be designed to foster creativity, collaboration, critical thinking and project-based exploration and discovery.